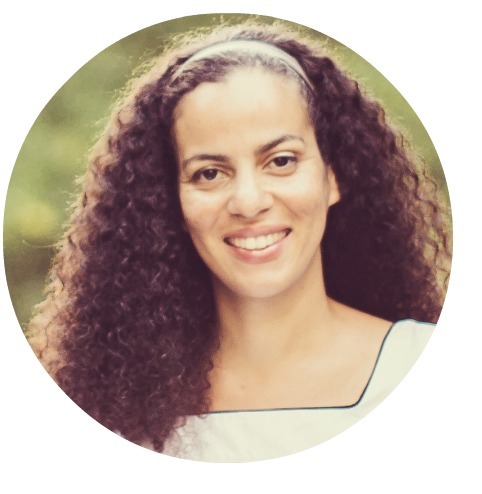 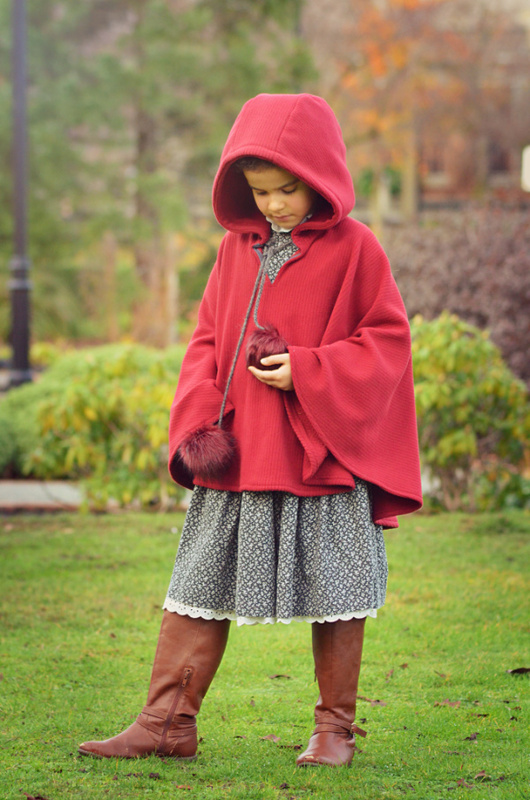 My newest Burdastyle make fits perfectly with Anja's love for vintage-inspired style! 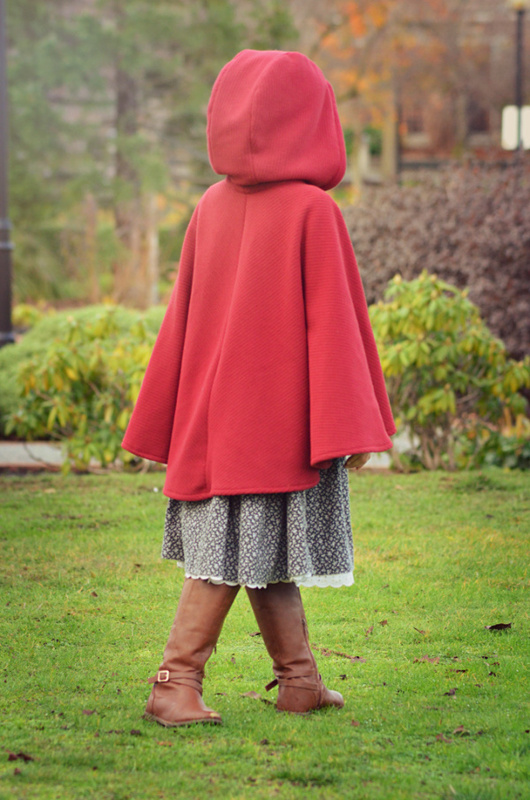 This is a size 122cm (Anja is 120cm) made from fleece purchased at my local fabric shop. 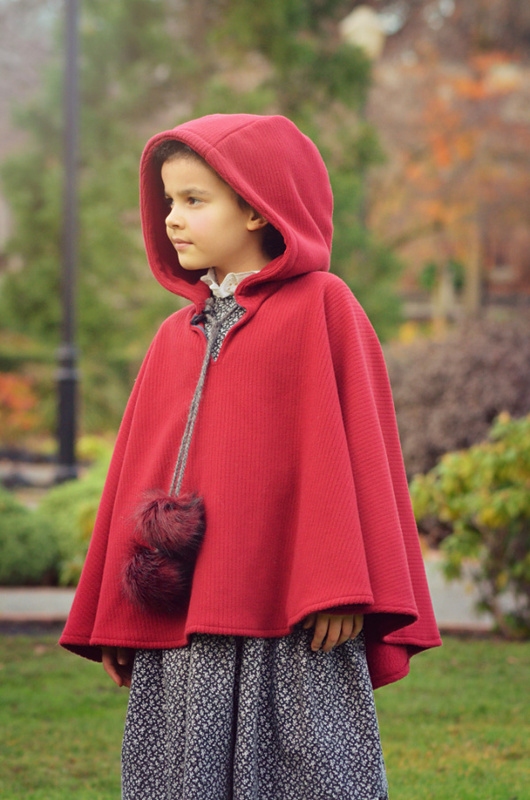 We love how this turned out and she will enjoy wearing it through the fall months and later on in the spring. 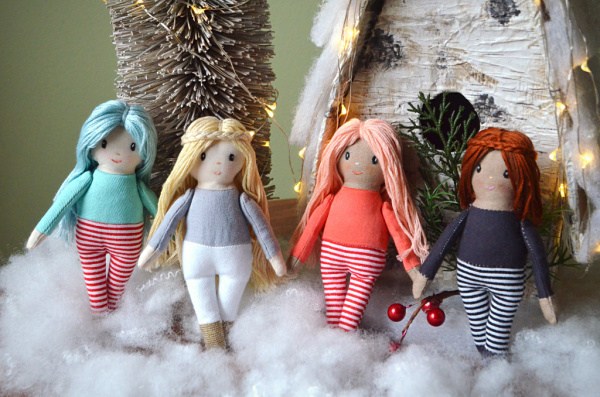 Brand new to E&E Patterns is the Binty Doll Pattern. 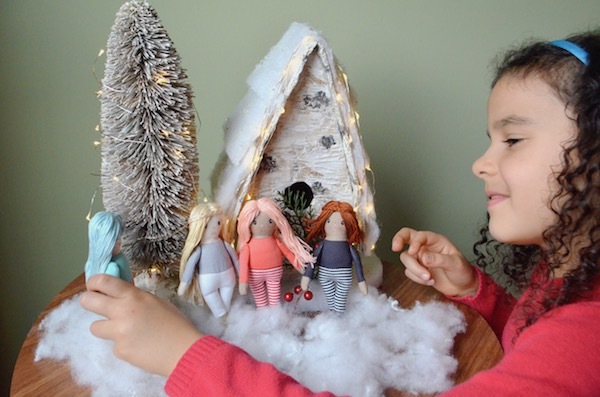 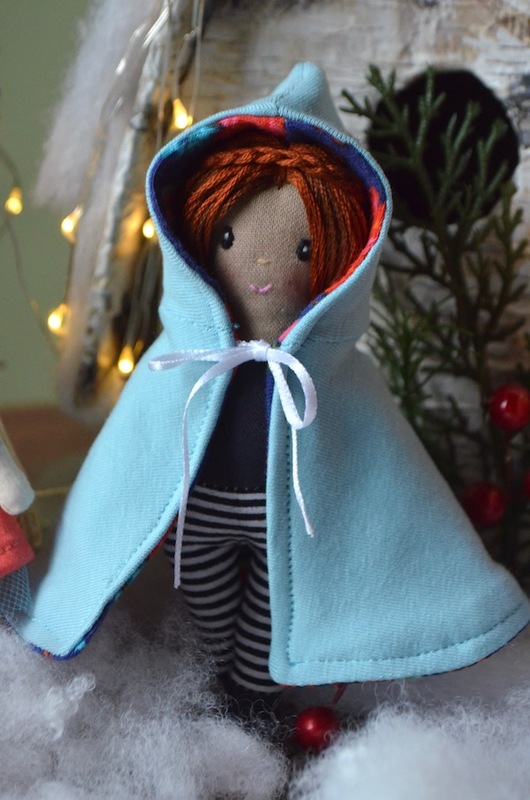 The Binty Doll is a whimsical character made especially for little hands to play with. 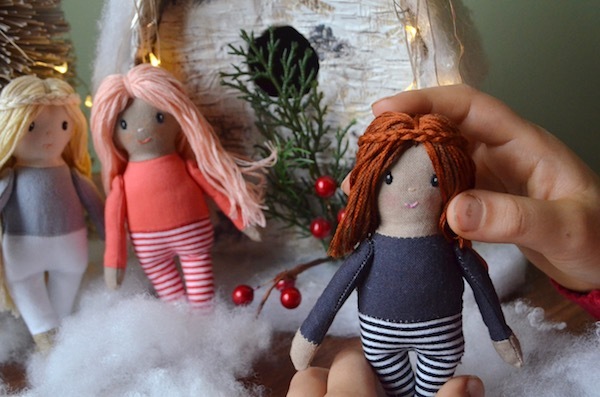 Her shirt, leggings, and shoes are machine sewn as her body, so she’s a very quick sew. 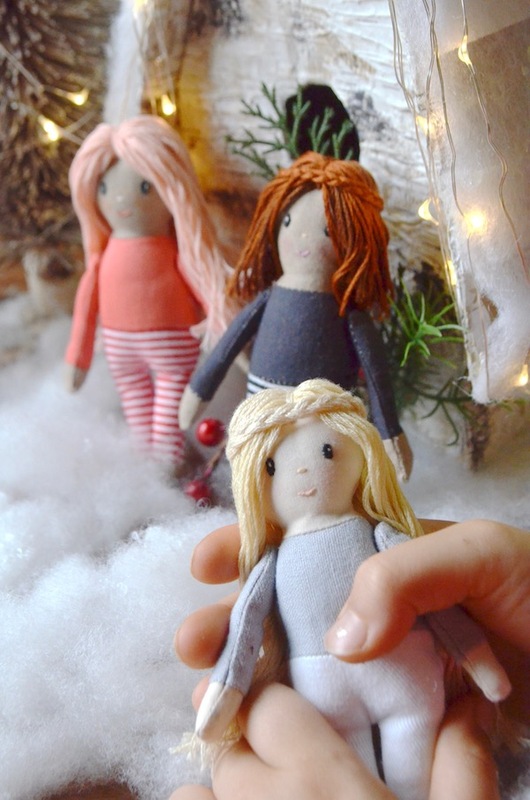 The details of her expressive face are hand embroidered and her hair is attached with stitching and glue. 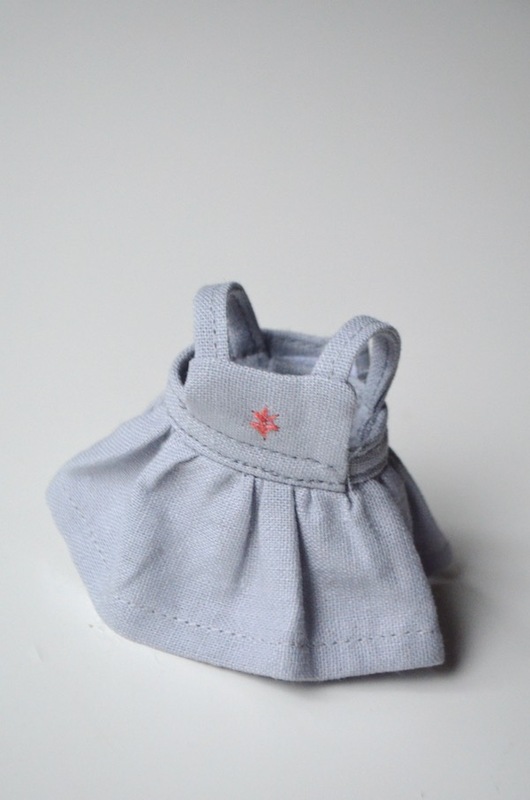 When finished, Binty measures just over five inches (13.5cm) tall. 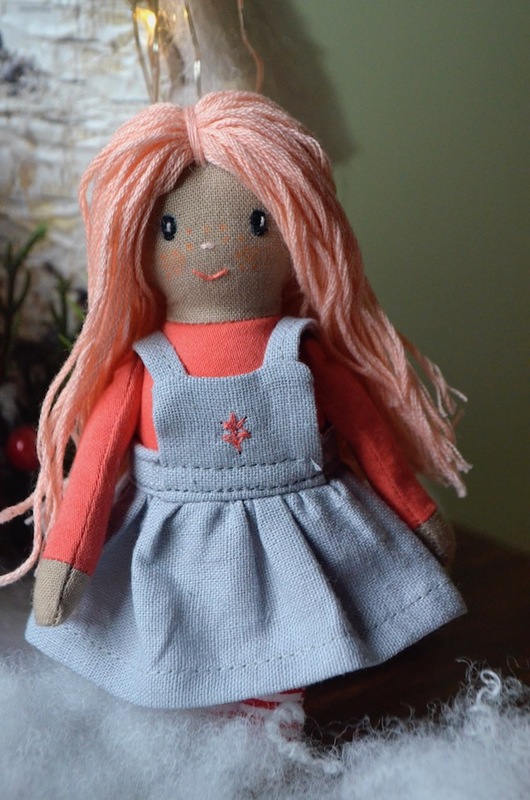 Also available is the Binty Doll with Wardrobe Pattern. 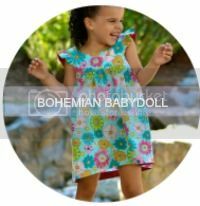 This pattern includes both the Binty Doll in addition to four adorable garments for her to wear. 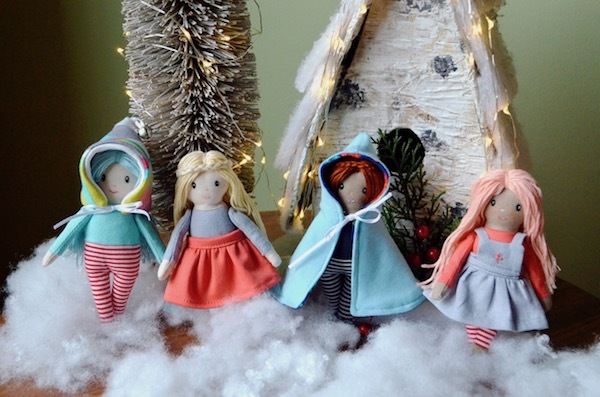 The Binty Doll wardrobe includes four different garments: a skirt, pinafore, hat, and cape. 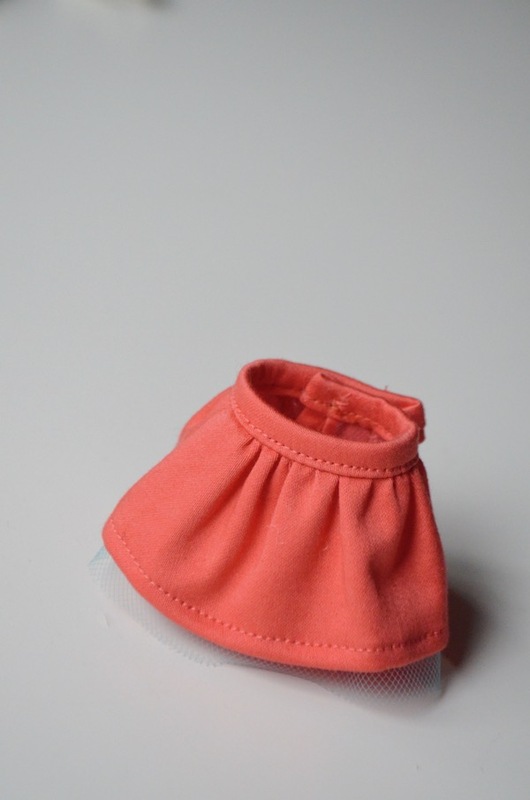 The skirt and pinafore are gathered into a waistband and then secured with a hook and loop closure (such as Velcro). 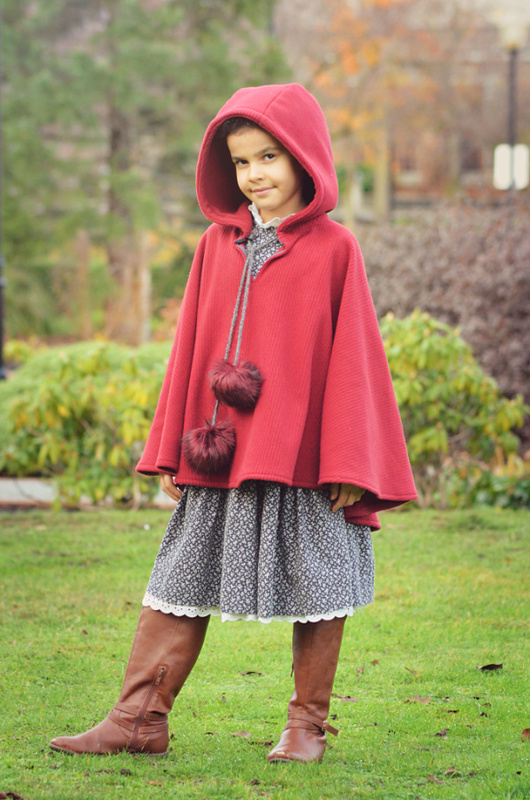 The hat and cape are both completely reversible, allowing for twice the dressing up fun! 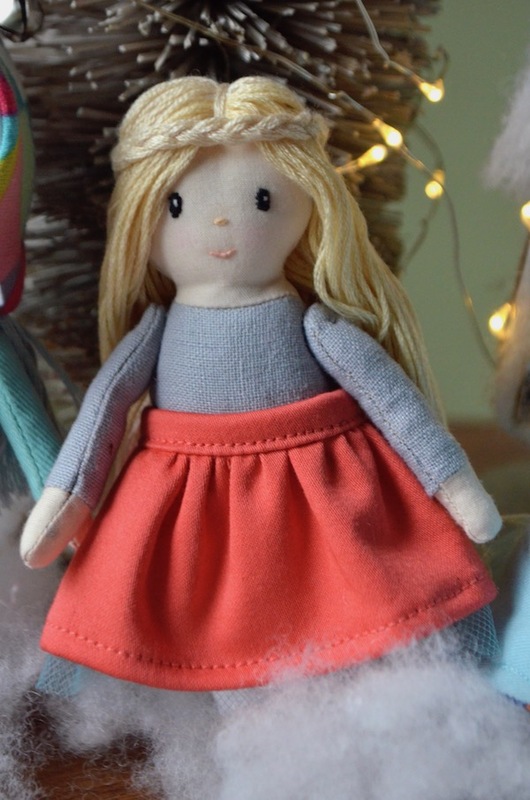 Instructions for adding a charming little bell to the hat are included to make it extra festive. 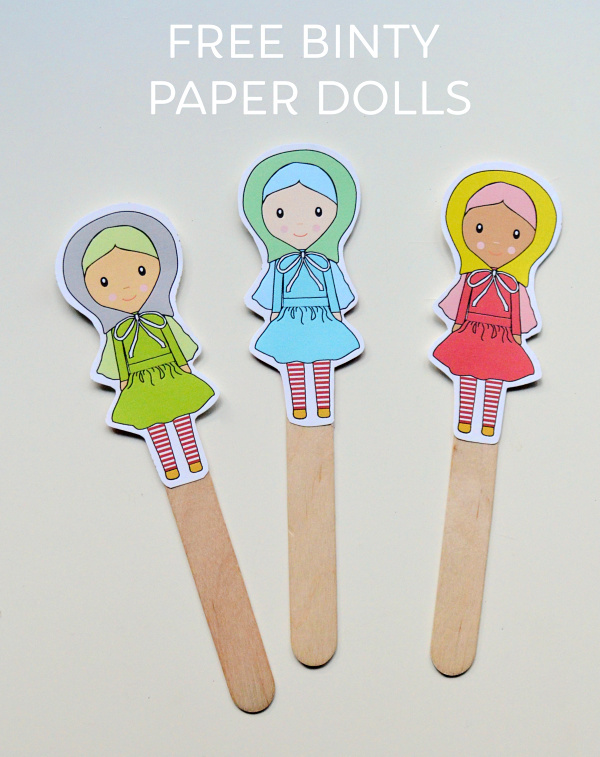 And a special gift for you is the Binty Paper Dolls. 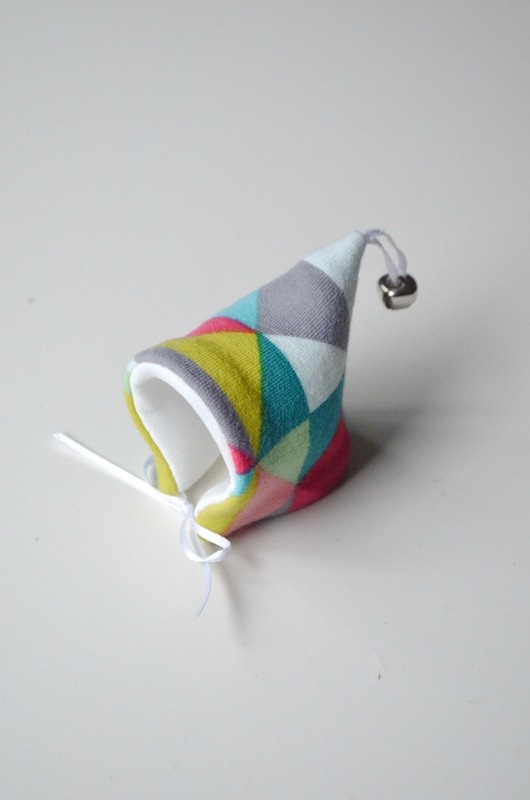 These are available in the shop for free using the coupon code:BINTY. 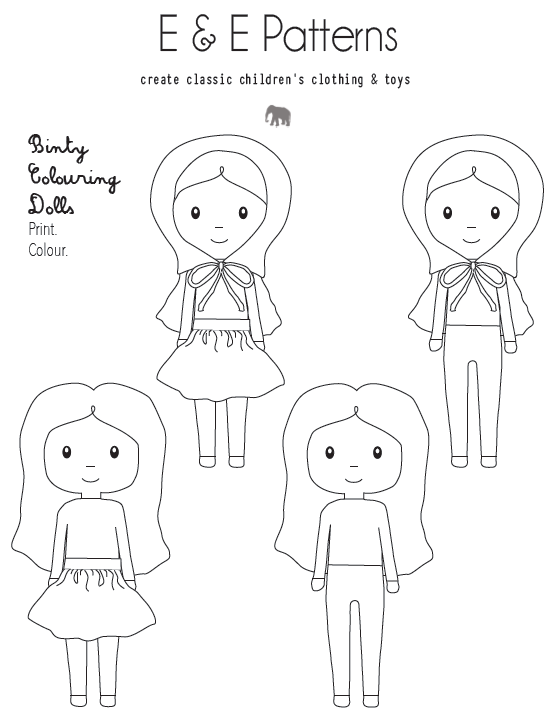 The Binty Doll Pattern and free Paper Dolls are available HERE. 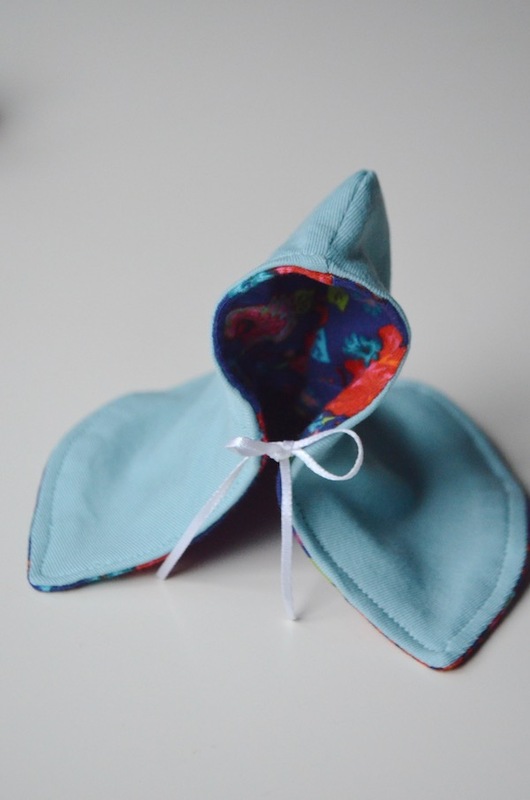 Check out the new E&E Patterns Shop! 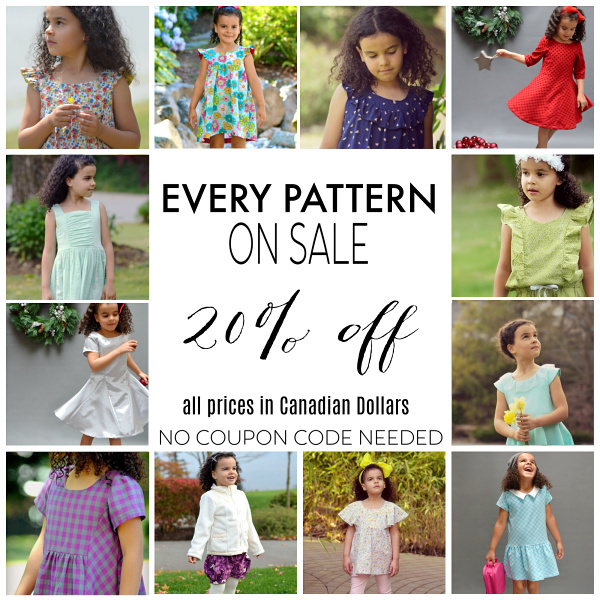 Everything is on sale until Tuesday, November 27. 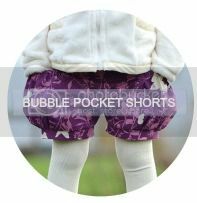 All patterns are marked down 20% - no coupon code needed.